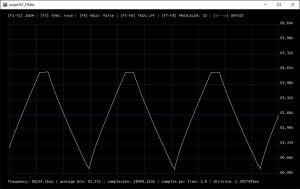 An oscilloscope is a must have tool for any electronics enthusiast, however, they are typically extremely expensive ($600+), so price can be a real barrier to owning your own. 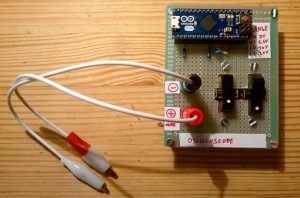 With this fantastic project from BramMylemans you can use an Arduino to create your own oscilloscope very cheaply! Not only is it great to be able to build your own oscilloscope, but this project will cost next to nothing as it only requires an Arduino Leonardo and a few capacitors, diodes and resistors. Furthermore, when you are working on home automation projects having an oscilloscope can really go a long way to helping you design and debug your system. To get started building your own oscilloscope check out the following link. If you are looking for an Arduino Leonardo compatible board the team at SuperHouse Automation recommends the Freetronics LeoStick. The LeoStick is very similar to an Arduino Leonardo, however it comes in a compact, convenient USB stick style format! Checkout the product page to find out more.